A lifetime of wrinkle-free and pure skin may be reserved for the botoxed elite of Beverly Hills but that doesn't mean we can't continue to love and care for ourselves. With a soft nutty aroma, Apricot Kernel is packed with vitamins A, B1, B2, B6 and E. In some studies it has shown to have a higher level of B17 than any other plant in the world. Apricot Kernel absorbs quickly as it moisturizes the skin and is a common ingredient in massage oils and beauty products. If you often experience itchy or dry skin, Apricot Kernel helps deeply moisturize without leaving oily residue. As it restores the appearance and texture of the skin, Apricot Kernel also purifies and cleanses. Native to Asia, the Apricot tree grows to about 35 feet in height and sprouts white and pink flowers and orange-yellow fruit. 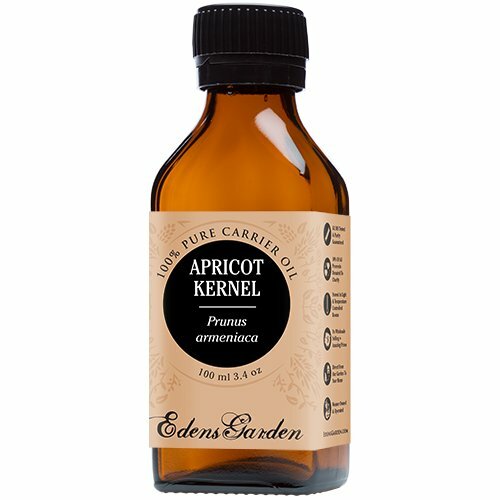 The Apricot Kernel is put through a cold pressed method to extract the oil. It's almost golden in color and is a wonderful addition to any beauty or wellness routine. BOTANICAL NAME: Prunus armeniaca EXTRACTION METHOD: Cold Pressed AROMA: Apricot Kernel has a very mild nutty aroma CONSISTENCY: Typical and characteristic of carrier oils COLOR: Pale yellow to golden yellow ABSORPTION: Absorbs easily into the skin. 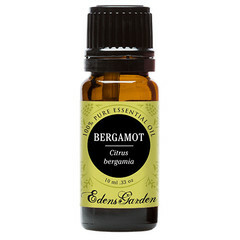 COMMON USES: Apricot Kernel is commonly used in lush massage oils and cosmetics. Upon application, it quickly absorbs and moisturizes the skin. Not only does it refresh dry or itchy skin without an oily residue, Apricot Kernel has a high level of natural antioxidants that cleanse and purify. SAFETY: Apricot Kernel is regarded as very safe but sensitive individuals should check with their doctor before use. SHELF LIFE: Apricot Kernel is slow to spoil and users can expect a shelf life of 6 months to 1 year with proper storage conditions. We all want flawless, buttery skin but the means to get there can sometimes be intimidating. Lasers, peels and chemicals are a no-go for many natural aficionados. We can have smooth skin and how we get there is entirely up to us. Hazelnut is a carrier oil that actively promotes the skin's natural luster while it moisturizes and refreshes. Teeming with vitamin E and powerful antioxidants, Hazelnut can actually help stimulate cell regeneration so your skin looks naturally ageless. It also can strengthen nails and hair so your manicures and blowouts add to your natural beauty. Hazelnut is non-greasy with only a slight hint of nuttiness and is often used by massage therapists because of its quick absorption.BOTANICAL NAME: Corylus avellana EXTRACTION METHOD: Cold Pressed AROMA: Hazelnut has a mild aroma with a hint of nuttiness CONSISTENCY: Typical and characteristic of carrier oils COLOR: Pale yellow to golden yellow ABSORPTION: Hazelnut absorbs quickly, and leaves a non-greasy feel.COMMON USES: Hazelnut is widely popular in cosmetics for the skin, hair or nails. It is used to promote lasting skin health by treating acne, wrinkles and age spots. Hazelnut also has emollient and moisturizing qualities, beneficial for all skin types. Aromatherapists use Hazelnut in body massages to help restore the skin and fortify the capillaries, while eliminating free radicals. SAFETY: Hazelnut may cause allergic reactions. Sensitive individuals should discuss use with a doctor before application SHELF LIFE: Shelf life of 1 year with proper storage conditions (cool, out of direct sunlight). Refrigeration after opening is recommended. Balance in the body often extends to balance in the mind and soul. When we feel leveled and supported, we are better apt to press forward. Evening Primrose helps revitalize the body and restore complete harmony. Abundant in GLA essential fatty acids, Evening Primrose nourishes mature or dry skin as it balances everything from hormones to weight issues. For ages, Evening Primrose has been utilized for its anti-aging qualities. Not only can it replenish the skin, it can actually prevent the skin from showing signs of damage and wrinkles. Evening Primrose's therapeutic properties can help treat heart disease and skin disorders. Use it generously and use it often. BOTANICAL NAME: Oenothera bienniss EXTRACTION METHOD: Cold Pressed AROMA: Evening Primrose has a very faint aroma with light notes of sweetness CONSISTENCY: Typical and characteristic of carrier oils COLOR: Pale yellow to golden yellow ABSORPTION: Evening Primrose will leave an oily texture on the skin. COMMON USES: Evening Primrose is a highly nourishing carrier oil with many balancing and preventative properties. It is used to treat hormonal issues, acne, heart disease, migraines, weight problems and joint pain. Evening Primrose is also an ingredient in many expensive beauty products because of its rejuvenating nutrients that prevent signs of aging and promote youthful skin. SAFETY: Evening Primrose may cause nausea or headaches if used in large doses SHELF LIFE: Shelf life of 6 months to 1 year with proper storage conditions (cool, out of direct sunlight). Refrigeration after opening is recommended. Grapeseed's biggest fans are often those with sensitive skin. Its natural composition is incredibly gentle on the skin as it tighten and tones. If you have trouble finding a carrier oil or even a moisturizer moderate enough for your skin, Grapeseed might be your answer. Used in a variety of high-end lotions, sunscreens and anti-aging products, Grapeseed is rich with vitamin E and other nutrients. It actively combats acne and itchy eczema while also helping to fade the appearance of sun damage and deep wrinkles. Working on the cellular level, Grapeseed's antioxidant properties protect against tissue damage. Grapeseed is incredibly powerful, yet remarkably gentle.BOTANICAL NAME: Vitis vinifera EXTRACTION METHOD: Cold Pressed AROMA: Grapeseed has a very light aroma with a hint of nuttiness CONSISTENCY: One of the lightest carrier oils available COLOR: Light green to yellow green ABSORPTION: Absorbs easily into the skin. COMMON USES: Grapeseed is a popular component in many moisturizers, lotions, lip balms, sunscreens and night creams. Its astringent properties tighten and tone the skin, making it an agent against acne, eczema, sunspots and wrinkles. In addition to vitamin E, Grapeseed is rich with highly beneficial omega fatty acids. Its anti-inflammatory properties help relieve pain. Grapeseed is used to treat swelling and arthritis. SAFETY: Grapeseed carrier oil may have mild side effects including nausea, dizziness or headaches. Be sure to check with our doctor before use if you have high blood pressure or are taking cholesterol medication SHELF LIFE: Shelf life of 1 year with proper storage conditions (cool, out of direct sunlight). Refrigeration after opening is recommended. A common misconception about carrier oils is that they can leave the skin feeling greasy or oily. The truth is that most actually restore the skin's natural sebum balance and rid the skin of oily ickiness. Jojoba mimics the skin's natural oil levels so that your skin can remain healthy and vibrant. If you are struggling at skin extremes, dry and itchy or greasy and uncomfortable, Jojoba can help your skin find the proper medium. Its antibacterial and anti-inflammatory properties can help fight back against dandruff, dry skin, acne and wrinkles. Overflowing with vitamins B and E, Jojoba can help brighten dark spots and minimize the appearance of pores. Not only does Jojoba nourish the skin, it is rich with antibacterial and antifungal properties that support the health of the entire body. If you're looking for a creative project or are interested in crafting all-natural creations, Jojoba is an exquisite addition to natural shaving oils, makeup removers or revitalizing lip balms. BOTANICAL NAME: Simmondsia chinensis EXTRACTION METHOD: Cold Pressed AROMA: Jojoba has a very subtly pleasant aroma CONSISTENCY: Typical and characteristic of carrier oils COLOR: Clear ABSORPTION: Jojoba creates a barrier but will leave a satiny finish. COMMON USES: Often used as a natural moisturizer, Jojoba is non-greasy and promotes healthy, vibrant skin. It is very similar to sebum, the skin's natural moisturizer. Jojoba's antibacterial and anti-inflammatory properties help treat dandruff, acne, dry skin and wrinkles. 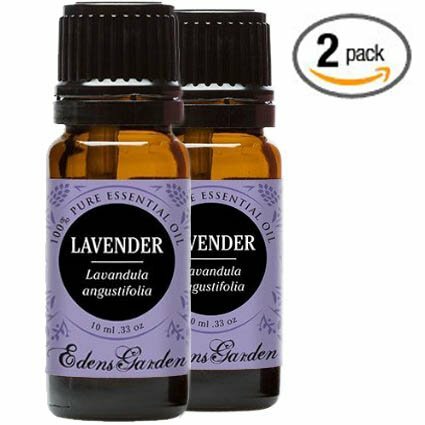 It is also used as a hair conditioner, shaving oil, make-up remover and lip balm.SAFETY: Jojoba may cause minor breakouts in individuals prone to acne. SHELF LIFE: Has an indefinite shelf life for all intents and purposes. It may go cloudy in cool conditions but will return to its natural state once warmed. For those scared away by the hippy sound of this carrier oil, fear not! Hemp Seed is an all-natural way to jumpstart better skin with a wave of incredible vitamins. With copious amounts of omega fatty acids and proteins, Hemp Seed wonderfully reinvigorates the skin as it helps to clear away acne and eczema. Extremely emollient and absorbent, Hemp Seed can even tone and texture with vitamins A, B1, B2, B3, B6, C, D and E. It also has abundant levels of anti-inflammatory and antioxidant properties. For those looking for clearer skin and overall health, Hemp Seed can actually reduce toxins while alleviating sore muscles and joints. BOTANICAL NAME: Cannabis sativa EXTRACTION METHOD: Cold Pressed AROMA: Hemp Seed oil has a slight nutty aroma that is very distinct. Although still faint, it is vastly more fragrant than other carrier oils CONSISTENCY: Typical and characteristic of carrier oils COLOR: Pale yellow to golden yellow ABSORPTION: Hemp Seed at average speed into skin, leaving a slight oil texture on the skin. COMMON USES: The fatty acids and proteins found in Hemp Seed have revitalizing and healing properties. Non-greasy, Hemp Seed detoxifies and restores the skin. When used regularly, it can reduce inflammation, help eliminate acne and treat eczema. Aromatherapists often use Hemp Seed in massage oils to soothe joints and muscles. SAFETY: Hemp Seed is safe but sensitive individuals should check with their doctor before use SHELF LIFE: Shelf life of 1 year with proper storage conditions (cool, out of direct sunlight). Refrigeration after opening is recommended. Walk into any cosmetic store and you will likely be faced with rows of skin creams and treatments. Even the most expensive beauty product in the mix is often laden with strange chemicals and unpronounceable additives. Another powerful component often found at the top of the ingredient list of top dollar treatments? Camellia Seed. Its silky texture can help protect against sun damage while softening wrinkles and fine lines. Use Camellia Seed to wipe away stubborn eye makeup after a night on the town (or accidental makeup messes). From roots to ends, hair will never be shinier than with Camellia Seed. It can restore the natural luster and thickness of your tousled mane. Who wouldn't want that?BOTANICAL NAME: Camellia oleifera EXTRACTION METHOD: Cold Pressed AROMA: Camellia Seed has a sharp aroma with a complex texture CONSISTENCY: Typical and characteristic of carrier oils COLOR: Yellow to golden yellow ABSORPTION: Camellia Seed carrier oil is easily absorbed into the skin leaving a smooth finish. COMMON USES: Camellia Seed is a component in many high-end and expensive beauty products because of its power to nourish and restore the skin. For mature skin, Camellia Seed softens fine lines and protects against damage caused by age, weather and sun. Because of its silky, it is a tremendously beneficial make-up remover. Camellia Seed is also used to restore luster and thickness to the hair while promoting strength. SAFETY: Although Camellia Seed is extremely safe, it may cause sensitivity or allergic reactions in some individuals SHELF LIFE: Shelf life of 6 months to 1 year with proper storage conditions (cool, out of direct sunlight). Refrigeration after opening is recommended. If you're looking for a carrier oil stocked with vitamins and antioxidant properties, you've found it in Sesame. Keep your skin looking vibrant and youthful with Sesame's powerful levels of sesamol. It can restore damaged cells and prevent new wrinkles from ever forming. Stocked with vitamins B and E, Sesame also contains calcium, magnesium and phosphorus. Many people use Sesame as a natural sunscreen because it oxidizes the skin and protects against harsh rays. Sesame also has an abundance of emollient properties that repair damaged or dry skin while detoxifying and eliminating toxins. Use Sesame to combat breakouts and treat skin conditions like eczema or psoriasis. You won't be disappointed with Sesame's range of healing properties. BOTANICAL NAME: Sesamum indicum EXTRACTION METHOD: Cold Pressed AROMA: Sesame has a very potent sweet, nutty aroma CONSISTENCY: Slightly thicker than typical carrier oils COLOR: Golden yellow to brownish yellow ABSORPTION: Sesame absorbs at average speed into skin, slight oil feeling left on skin. COMMON USES: Sesame is commonly used as a natural sunscreen. It protects the skin against free radicals as it moisturizes and nourishes. Rich with vitamin-E, magnesium, phosphorus and calcium, Sesame is a wonderful antioxidant and anti-inflammatory. It helps tighten the skin, control acne, eliminate bacteria and heal chapped skin. Sesame is also used to treat psoriasis and eczema. SAFETY: Sesame may cause allergic reactions. Sensitive individuals should discuss use with their doctor before application. It may stain satin sheets SHELF LIFE: Shelf life of 6 months to 1 year with proper storage conditions (cool, out of direct sunlight). Refrigeration after opening is recommended. As often noted, the road to health starts with rest and relaxation. Sadly, many of us struggle to extract peace and quiet from the busyness of each day, keeping us up late at night while we juggle our worries. Not only is stress harmful to your overall health, it can have a worrisome effect on the skin. Macadamia is a natural way to restore the damage done by modern life while acting as a gateway to wellness. With an abundant level of antioxidants, omegas and fatty acids, Macadamia softens harsh wrinkles and restores a youthful glow. Beyond the skin, Macadamia can add strength and purity to your hair and nails. Because its natural composition is close to the skin's natural oil, Macadamia can actually restore cell membranes. Say no to stress and yes to solidarity and wellbeing. BOTANICAL NAME: Macadamia integrifolia EXTRACTION METHOD: Cold Pressed AROMA: Macadamia has a subtle aroma with soft layers of nuttiness CONSISTENCY: Slightly thicker than typical carrier oils COLOR: Pale yellow to golden yellow ABSORPTION: Macadamia is non-greasy but will leave an oily texture on the skin. COMMON USES: Macadamia is very similar to the skin's natural oils and is rich with nutrients, making it beneficial for all skin types. It hydrates as it heals and softens the skin. It is an effective antioxidant, promoting the health of cell membranes. Non-greasy and very absorbent, Macadamia is used to treat, acne, eczema, split ends, dandruff, dry skin and brittle nails. Its robust palmitoleic acid content can prevent wrinkles and soften fine lines. SAFETY: Macadamia may cause allergic reactions. Sensitive individuals should discuss use with their doctor before application SHELF LIFE: Shelf life of 6 months to 1 year with proper storage conditions (cool, out of direct sunlight). Refrigeration after opening is recommended.